The Rabbit & The Turtle or 토끼와 거북이 is a traditional Korean story, which is of course based on Aesop’s Fable “The Tortoise & The Hare”. For some unknown reason in Korea the Hare is replaced by a Rabbit (토끼) and the Tortoise is replaced by a Turtle (거북). 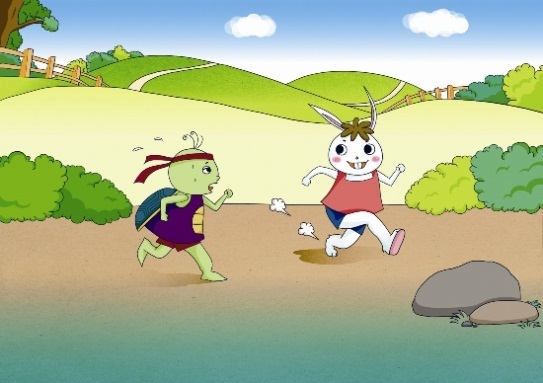 The story is of course about a race between the two animals, and just like in the well known English version the Rabbit falls asleep and the Turtle wins.